Emily Benson's fashion career is rolling. No, really! It's rolling... down the street, in a truck. And not just any truck - The Fashion Truck. 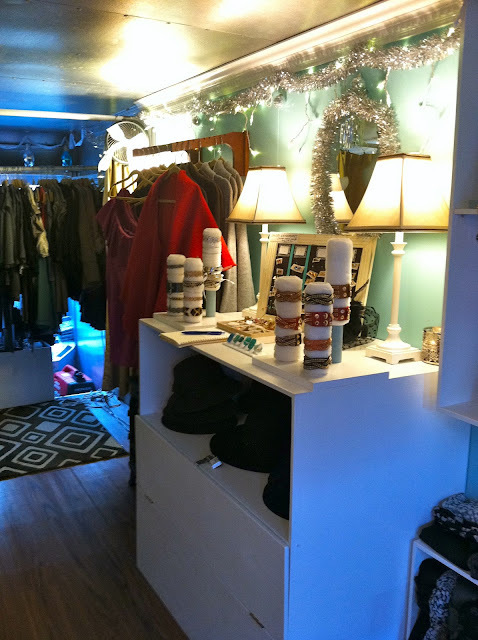 Less than a year old, The Fashion Truck is a boutique on wheels, as conceived by Benson. A veteran of corporate retail (with stints at Abercrombie & Fitch, Henri Bendel and Club Monaco), Benson was vacationing with her sister in Spain when she had an epiphany - she wanted to start her own business. "I started thinking about a traveling store," Benson says. "I thought, wouldn't it be cool to have this little, curated truck, filled with things that I love?" As is often the story, timing is everything. "I bought FashionTruck.com in December and got laid off in January," says Benson. "It was kind of perfect timing...so I just went for it!" Step One? Purchasing a truck. As a fashion executive, Benson was not what you might call an expert in the trucking industry - she learned by looking at trucks around the city and asking their drivers for information. Launching into discussion on step vans, box trucks and cab location, she lists her truck criteria: gas powered (not diesel), at least 18 feet (which would give her ~100 sq foot of retail space) and high ceiling (she's 6'1"). "I stumbled upon a website called Truck Smart where I met George, a 70 year old trucker," she says. George was the first trucker to take Benson seriously. They spoke on the phone and he sent her some photographs of a truck with low mileage in excellent condition. Benson purchased it, and she and her father got to work turning a regular truck into a boutique. After painting and installing flooring, shelving and displays, The Fashion Truck was ready to be stocked! "I only buy what I love," Benson says. "I just try to find well-priced, good, quality items. I went to H&M the other day, and I tried all this stuff on, and I thought, 'I like Fashion Truck stuff better...and we're close to the same price point!'" 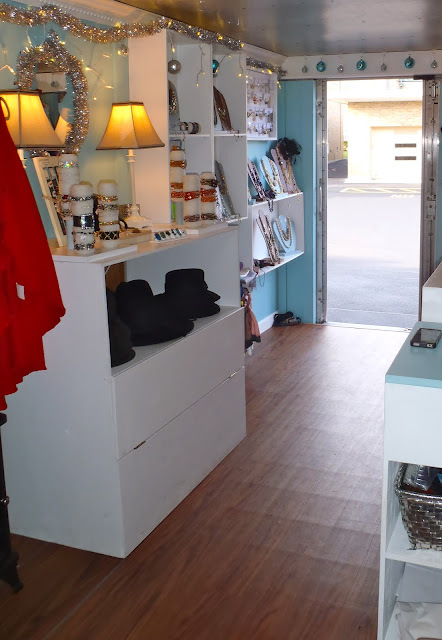 Stocked with brands like Lush, YA Los Angeles and Theme Label, in addition to jewelry from New York and scarves by a local designer (Printed Village in Somerville), The Fashion Truck's collection is clearly lovingly curated. Benson notes that she does a lot of editing, citing one designer which produces some of the (cute!) items in the store, as well as "these Ed Hardy looking tee shirts...those are just not for the Boston girl!" Some handmade items, like remade vintage earrings, glass rings and adorable shoe clips hail from small, independent designers. Benson emphasizes that none of her products are mass produced. 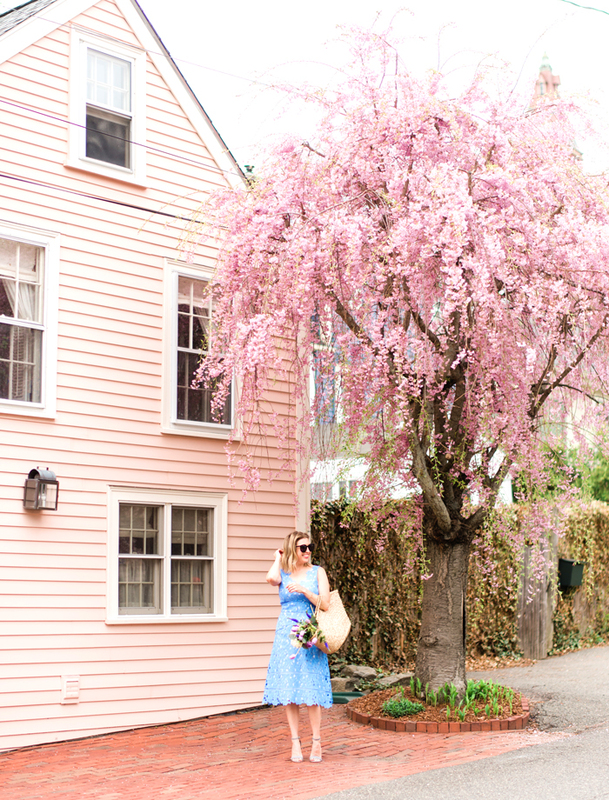 "When I sell out of a dress, I am probably not going to get it again." She points to a gorgeous green frock: "This was such a hot item, and that's my last one...girls are really upset that I'm sold out!" The Fashion Truck spent a large portion of the summer anchoring the South End Open Market, and Benson parked the truck in Boston for Boston Fashion Week and Fashion's Night Out ("I found a spot right in front of The Tannery!"). Just this week, she reached an agreement with the Boston Redevelopment Authority to park in Boston's Downtown Crossing at 24 School Street. Benson will also bring the truck to private parties. "It's great!" she says. "I'll drive the truck over, back into the driveway on a Friday night, and ladies will have wine, cheese and some shopping - these parties are so much fun!" For those people who still can't seem to locate the truck, the shop is now online at www.TheFashionTruck.com - just in time for those who need a quick holiday outfit boost. "I wanted to have my own boutique for the longest time," says Benson. "My issue was that I didn't know where I wanted to do it! I thought, 'If I pick a spot, then I'm stuck there!' I could never imagine just sitting and waiting for people to come in. With The Fashion Truck, I don't have to wait for customers to come to me!" 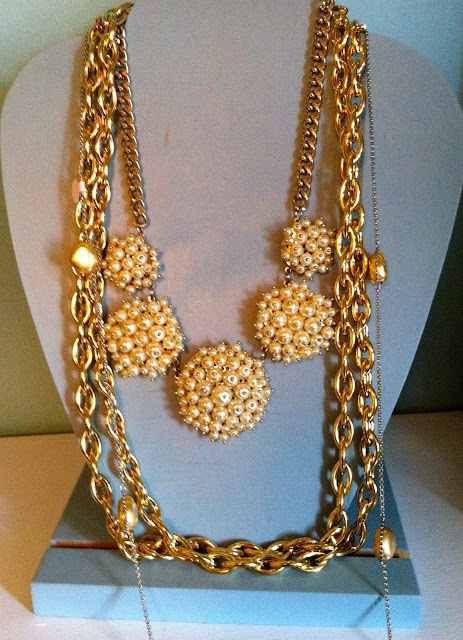 Visit The Fashion Truck in Boston's Downtown Crossing at 24 School Street or at www.TheFashionTruck.com! Wait.. The Fashion Truck?! Um, how did I not know about this?! I've heard to much about this! Cant wait to check it out! I just found bliss. This is amazing I must track her down!! @Chill Air, Brittany & So Anthro - Check her out in Downtown Crossing! I always find something cute, and Emily is such a fun person! I saw this at SOWA about a month ago! love! Downtown Crossing? I'm always there - note to self! what a cool idea, and there are pieces that catch my eye! Hopefully i can stop by in downtown crossing! Oh how neat!!! A traveling store! Awesome. Great post, thanks for sharing! Shopping in a truck?? I don't think I have ever seen something like that.. Genius!